papog1 has no other items for sale. For the avid stargazer or amateur astronomer, common planets, stars, and constellations such as Orion are like old friends in the night sky. Don't settle for viewing them with the naked eye or the minor magnification of binoculars. Take a close-up look at all of the celestial features you've been missing out on with the Meade ETX-60 AT refractor telescope. Designed with the novice astronomy buff in mind, Meade ETX-60 telescopes have stunning optics and serve up sharp images of objects in space. The compact size of this 60mm f/5.8 achromatic refraction-type telescope means that it is easy to pack and take with you to various viewing locations. With a powerful 39x magnifying capability, you'll feel as if you are tethered to the International Space Station rather than standing in your own back yard. This wide-field, deep-sky telescope returns crystal clear images with either 90-degree or straight-through observation positions. The eyepiece can be replaced with specialty eyepieces, such as a Barlow lens, for specific viewing purposes. The variable focal length allows the telescope to focus on terrestrial objects as well as those light years away. Satisfy your astronomical curiosities with the Meade ETX-60AT refractor telescope. Setup is a breeze for the ETX-60AT. Once out of the box, simply install one of two high-quality eyepieces and six AA batteries for a whopping 20 hours of use. The Meade ETX can be used either on a tabletop or with accessories such as a tripod mount. Designed with budding astronomers in mind, the Meade telescope is easy to use as well. Set your site location by selecting a city from the given list. Once outdoors, the scope can be aligned by one of three methods. Beginners may prefer the Easy Align feature, which uses the telescope's computer to choose two stars to align itself with and make automatic adjustments. More experienced stargazers may prefer the One Star Align or Two Star Align features, in which the user manually chooses which stars and other objects to view. Consult the user manual for easy-to-follow instructions. Once aligned, the Meade ETX will automatically bring any of the 1,400 pre-programmed stellar objects into view with the push of a few cursor buttons on the attached electronic hand controller. Whether you are searching the sky for Jupiter, Orion, or Aldebaran, the Meade ETX will auto rotate and find the object for you. The ETX-60AT is compatible with most Autostar computer software accessories via a serial interface adapter. These accessories include Starry Night, Deepsky 2000, and Skymap. Updates on the positions of moving objects such as satellites and comets, as well as the locations of newly discovered objects, can be downloaded when the telescope is connected to your personal PC. The Autostar program will also provide important astronomy information about the objects being viewed, including their age, distance from Earth, and spectral types.Smaller than many similar telescopes, the Meade ETX-60 has dimensions of 21.2 inches by 13.2 inches by 7.6 inches and weighs 10.2 pounds. These telescopes can be used with computers and a variety of available accessories, including eyepieces and tripods. The discontinued Meade ETX-60 AT BB telescope is a very compact refractor (lens) telescope designed for easy setup and portability. It's good for beginners, and also a great pick-up and go scope for vacations, hiking, and taking to remote locations where taking a larger instrument would become impractical. The BB model I got includes a tripod and nice fitted backpack, which are both highly recommended if you are lucky enough to find one at a good price. The well designed Meade tripod is surprisingly sturdy and lightweight for its size, and does an excellent job of supporting the telescope at higher magnifications without much vibration. The Meade backpack zips smoothly and facilitates good, protective compact storage, and even has provision to strap the tripod to it. The quality of the optics of the telescope itself was a pleasant surprise to me, being that much of the construction is of plastic. It has a decent objective lens capable of producing clean, sharp images of Jupiter and lunar craters at low to medium powers, both with and without the flip-in Barlow lens, using the economy 25mm and 10mm eyepieces that come with it. Focusing is tedious because the knob is small and in a tight location, but once you get close, it allows a very fine tuning, which is nice. You just have to keep turning it until it becomes sharp. (Best to prefocus at a distant object in the daytime first.) At higher powers, though, even with better eyepieces not included with this telescope, the objective is not capable of producing a clean, circular diffraction pattern; but this was not unexpected of an instrument at this price level (most of the cost is in the electronics), but it's fine up to about 100x. Most relieving is that it doesn't produce smeared or elongated stars at low to medium powers, which makes viewing brighter star clusters and nebula like M57 (Ring Nebula) or M42 (Orion Nebula) a pleasing experience. But besides the ETX-60's low price and compactness, the best feature it's got going for it has to be the intuitive computerized GOTO, which can make all the difference in giving you a rewarding night of observing, especially for beginners. The motor is a bit loud if you are trying not to disturb a quiet neighborhood in a small backyard, but it's not half as loud as a garage door opener. It does help to know the brightest stars in a few constellations, along with the exact direction to north, because the easiest way to do the setup is by lining it up with north and letting the computer do the rest. The computer will automatically point to two bright stars, one at a time, and after you fine tune and center each one using the hand control, setup is done! After that, just type into the hand control what you want to see, and the telescope will bring it into the view and continue to track it even as the earth rotates and the stars continually move slowly across the sky. As long as you are careful in lining up the initial stars, the GOTO is impressively accurate for a telescope of this price range. 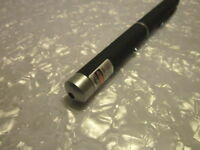 I have had the Meade ETX 60 AT for several years now. I usually use it during the summer when it is really clear. This scope is fantastic for lunar observations. You can also pull in the rings of Saturn and see 4 of its moons. You can usually see the striations of the atmosphere of Jupiter. This scope does not really like to be over magnified. I bought a Barlow lens for it and a higher magnification lens and in unison, it was too much focal point and I couldn't focus. It is a great scope for it's size and simple to use, as long as you can get it level and find magnetic North, the Telstar system is amazing. You just need to understand it has limitations and is a 60 mm refractor, which is about as small as you want to go. A friend had the ETX 90 and it had amazingly higher resolution, with a lot higher cost. PORTABLE, LIGHTWEIGHT, VALUE FOR MONEY, EASE OF USE, QUALITY BUILD. The Meade ETX-60 AT Telsecope is the probably the best beginner scope anyone start with. It is affordable, usually less than $200.00 and more often less than $150.00 new. It is light-weight, easy to set-up, reliable, and has tremendous optical power capable of providing a great view of the universe. The magnification is good at 200 power, and the optics are clear without distortion. All near planets from Mercury to Jupiter can be easily seen in this scope as can many nebula - provided an additonal small investment in colored filters is made to remove the white or silver look of reflected light planets have which makes them appear as stars. The 60mm lense allows sufficient light in to give good clear images of space objects. The moon is shown in great contrast; however when viewing it the user never wants to look at it head on. To do so, causes a lot of detail to be lost. Imagine looking at the point of a sharpened pencile straight on. What you see is a dark spot in a circle. The same thing happens when looking at the moon or even some planets. The craters and mountian become nothing more than a dark spot in a circle. Not very exciting...However, if you look at the same pencile across one of its sides or across the surface it becomes 3 dimentional. You see it is tapered, has shadowed areas, and edges that look similar to a mountain. By looking slightly across the face of the moon, the mountians are suddenly realized, the craters have edges, and many of the features have depth and contrast. The AT-60 has a computer controlled memory which can take you to thousands of space objects not seen with the naked eye -- in fact, it is fair to say the dark night sky is not all black and white -- it is alive with a pelethra of color! The hand-held controller is easy to use and provides the scope with the tracking speed needed to keep the planets in view. This is a great bounus as the earth is rotating over a thousand-miles-an-hour and the planets constantally appear to rising in the sky then beginning to set much like the sun and moon appear to us through the course of the day or night. 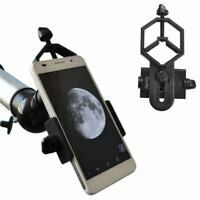 It is equipped with a tri-pod which is quite stable; yet, light-weight and provides a great mount for the telescope. A bubble level on the tripod gurantees the mount is level regradless of terrain, and its legs are fully adjustable to easily compensate for different heights found in field conditions. The scope comes often with a back-pack in which all componets can fit into it to protect it while carrying it off road to dark locations. The scope preforms well even in light polluted cities; although like any telescope light pollution does limit what can be seen and how clearly so the darker your set up area is the better the viewing will be. The telescope comes with lots of techno-geek information that means nothing to novice, but sounds pretty - like air-spaced lenses which means there is a space between them filled with air -- -huh - duh! But none of it is important. What is important is this TELESCOPE WORKS! My 3 year old son can look through this telescope and see things without fear of it being accidentally knocked over and the amazement on those little faces are worth more than the cost of a thousand of these telescopes when they suddenly realize there are mountains on the moon, and colorful swirling bands on Jupiter - a world they didn't even know was there...but now he can point to this star on any night and say Juipter is right there! Star rating is difficult. As a first time, beginning 'scope, 5 stars. Easy to set up and use. Was able to observe 4 moons of Jupiter on the first clear night. Every thing I expected. As for digital, well it does connect to a computer, but it is not a "pixel" optical device. Like any other instrument, there is a learning curve to get the most out of it. There is good customer support and several forums with "tips and tricks", Unless something far better for a similar price, I'll keep this. I'm 500 feet up overlooking an airport several islands, and a fair amount of ocean traffic. Unless something far better for a similar price, comes along, I'll keep this.